From left to right: (top row) Jin-Shi Xu, Kai Sun, Yong-Jian Han; (bottom row) Chuan-Feng Li, Jiannis K. Pachos, and Guang-Can Guo. 3School of Physics and Astronomy, University of Leeds, UK. The exchange character of identical particles plays an important role in physics. For bosons, such an exchange leaves their quantum state the same, while a single exchange between two fermions gives a minus sign multiplying their wave function. A single exchange between two Abelian anyons gives rise to a phase factor that can be different than 1 or -1, that corresponds to bosons or fermions, respectively. More exotic exchanging character are possible, namely non-Abelian anyons. These particles have their quantum state change more dramatically, when an exchange between them takes place, to a possibly different state. Such non-Abelian anyons are the Majorana fermions that were first proposed by the physicist Majorana . Majorana zero modes (MZMs) are quasiparticle excitations of topological phases of matter that have the same exchange character of the Majorana fermions, that is, they are non-Abelian anyons. When two MZMs are exchanged, the process cannot be described only by a global phase multiplying their wave function. Instead, their internal states, corresponding to degenerate ground states of the topological system, are transformed by a unitary operator. In addition, states encoded in the ground-state space of systems with MZMs are naturally immune to local errors. The degeneracy of the ground state, driven by the corresponding Hamiltonian, cannot be lifted by any local perturbation. Therefore, the encoded quantum information is topologically protected. 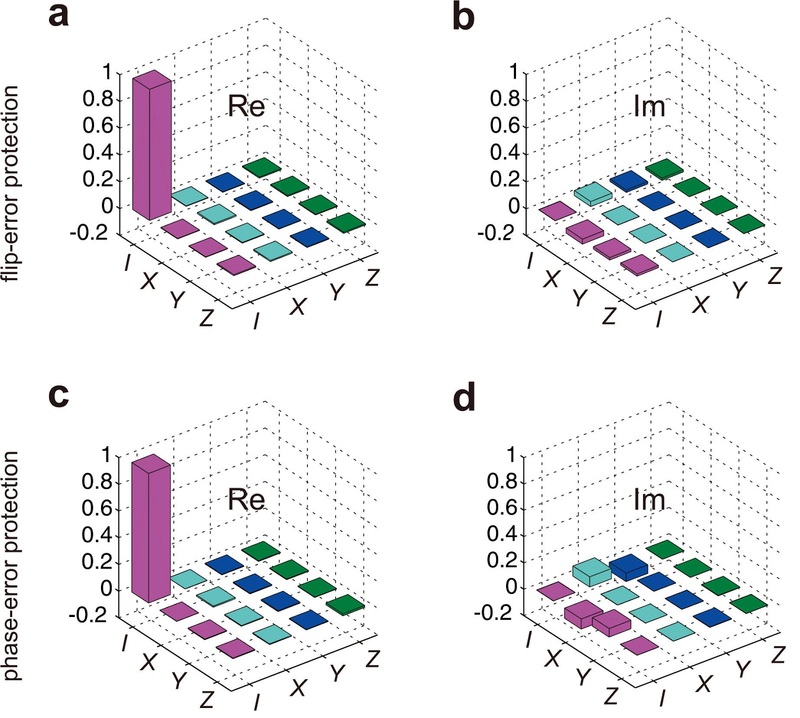 These unusual characteristics imply that MZMs may potentially provide novel and powerful methods for quantum information processing . Rapid theoretical developments have greatly reduced the technological requirements and made it possible to experimentally observe MZMs. However, until now, only a few positive signatures of the formation of MZMs have been reported in solid-state systems. 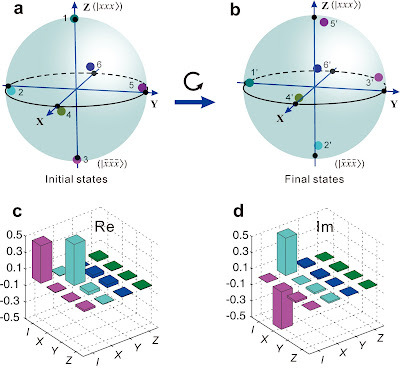 The demonstration of the essential characteristic of non-Abelian exchange and the property of topological protection of MZMs is a considerable challenge. Recently, we use a photonic quantum simulator to experimentally investigate the exchange of MZMs supported in the 1D Kitaev Chain Model (KCM) . The Fock space of the Majorana system is mapped to the space of the quantum simulator by employing two steps. First, we perform the mapping of the Majorana system to a spin-1/2 system via the Jordan-Wigner (JW) transformation. Then we perform the mapping of the spin system to the spatial modes of single photons. In this way, we are able to demonstrate the exchange of two MZMs in a three-site Kitaev chain encoded in the spatial modes of photons. We further demonstrate that quantum information encoded in the degenerate ground state is immune to local phase and flip noise errors. We consider a three-fermion KCM which is the simplest model that supports isolated two MZMs. Six Majorana fermions are involved and the exchange of two isolated Majoranas can be realized by a set of projective measurement, which can be expressed as imaginary-time evolution (ITE) operators with a sufficiently large evolution time. These processes depend on the corresponding Hamiltonians. Figure 1 shows the exchanging process. 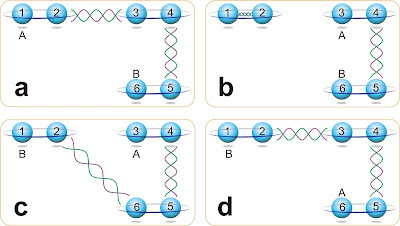 Figure 1: The exchange of Majorana zero modes. The spheres with numbers at their centers represent the Majorana fermions at the corresponding sites. A pair of Majorana fermions bounded by an enclosing ring represents a normal fermion. The wavy lines between different sites represent the interactions between them. The interactions illustrated in a, b, c and d represent different Hamiltonians, respectively. The figure is adapted from Reference . We transformed the KCM to a spin model through the JW transformation. Although these two models have some different physics, they share the same spectra in the ferromagnetic region and their corresponding quantum evolution are equivalent. The geometric phases obtained from the exchanging evolution are invariant under the mapping. As a result, the well-controlled spin system offers a good platform to determine the exchanging matrix and investigate the exchange behavior of MZMs. In our experiment, the states of three spin-1/2 sites correspond to an eight-dimension Hilbert space, which are encoded in the optical spatial modes of a single photon. To complete the exchange, we implement the ITE by designing appropriate dissipative evolution. The ground state information of the corresponding Hamiltonian is preserved but the information of the other states is dissipated. We use beam-displacers to prepare the initial states and the dissipative evolution is accomplished by passing the photons through a polarization beam splitter. In our case, the optical modes with horizontal polarization are preserved which represent the ground states of the Hamiltonian. The optical modes with vertical polarization are discarded. Figure 2 shows the experimental results of simulating the exchanging evolution. States encoded in the two-dimension degeneracy space are represented in Bloch spheres. The final states (Figure 2b) after the exchanging evolution are obtained by rotating the initial states (Figure 2a) counterclockwise along the X axis through an angle of π/2. We obtain the exchanging matrix through the quantum process tomography . The real and imaginary parts of the exchanged operator are presented in Figures 2c and d. Compare with the theoretical operation, the fidelity is calculated to be 94.13±0.04%. 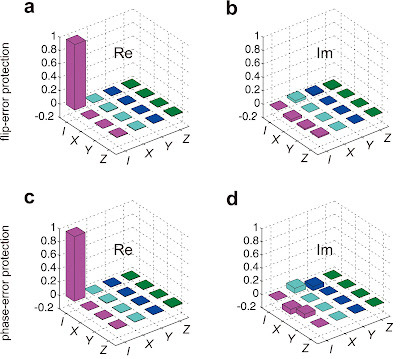 Figure 2: Experimental results on simulating the exchanging evolution. a. The six experimental initial states in the Bloch sphere. b. The corresponding experimental final states after the braiding evolution. The final states are shown to be rotated along the X axis by π/2 from the initial states. c. Real (Re) and d. Imaginary (Im) parts of the exchange operator with a fidelity of 94.13±0.04%. The figure is adapted from Reference . Figures 3a and b show the real and imaginary parts of the flip-error protection operator with a fidelity of 97.91±0.03%. Figures 4c and d show the real and imaginary parts of the phase-error protection operator with a fidelity of 96.99±0.04%. The high fidelity reveals the protection from the local flip error and phase error of the information encoded in the ground state space of the Majorana zero modes. The total operation behaves as an identity, thus demonstrating immunity against noise. Figure 3: Experimental results on simulating local noises immunity. a. Real (Re) and b. Imaginary (Im) parts of the flip-error protection operator, with a fidelity of 97.91±0.03%. c. Real (Re) and d. Imaginary (Im) parts of the phase-error protection operator, with a fidelity of 96.99±0.04%. The high fidelity reveals the protection from the local flip error and phase error of the information encoded in the ground state space of the Majorana zero modes. The figure is adapted from Reference . In our experiment, the optical quantum simulator provides a versatile medium that can efficiently simulate the Kitaev chain model that supports MZMs at its endpoints. It also opens the way for the efficient realization and manipulation of MZMs in complex architectures. The gained know-how can be picked up by other technologies that offer scalability, like ion traps or optical lattices. This work achieves the realization of non-Abelian exchanging and may provide a novel way to investigate topological quantities of quantum systems. Ettore Majorana, "Symmetrical theory of electrons and positrons", Nuovo Cimento 14, 171 (1937). Abstract. 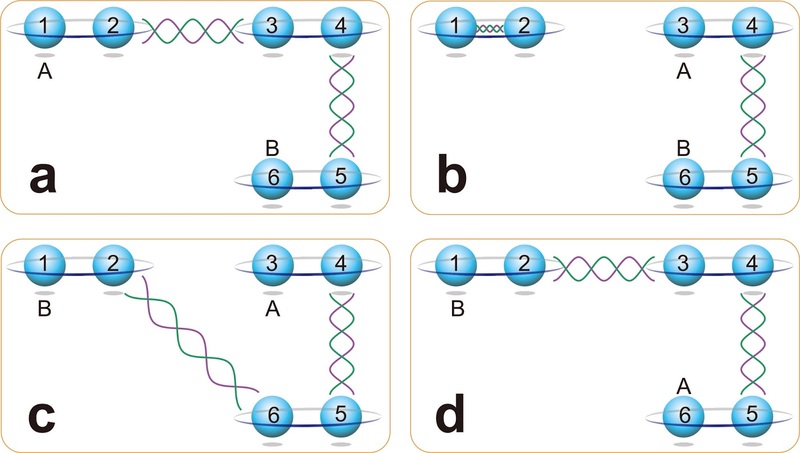 Chetan Nayak, Steven H. Simon, Ady Stern, Michael Freedman, Sankar Das Sarma, "Non-Abelian anyons and topological quantum computation". Review of Modern Physics, 80, 1083 (2008). Abstract. 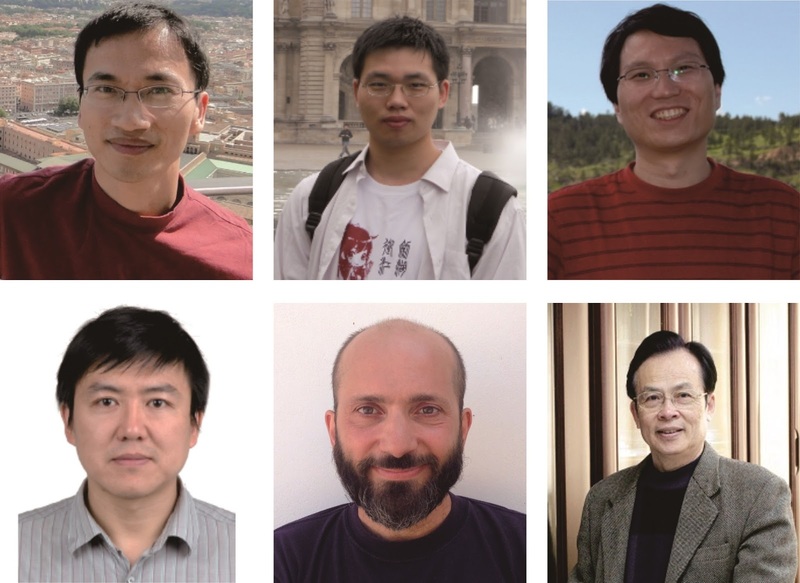 Jin-Shi Xu, Kai Sun, Yong-Jian Han, Chuan-Feng Li, Jiannis K. Pachos, Guang-Can Guo, "Simulating the exchange of Majorana zero modes with a photonic system". Nature Communications", 7, 13194 (2016). Abstract. J. L. O'Brien, G. J. Pryde, A. Gilchrist, D. F. V. James, N. K. Langford, T. C. Ralph, A. G. White, "Quantum process tomography of a Controlled-NOT gate". Physical Review Letters, 93, 080502 (2004). Abstract.